If you're anything like me, life is full, wonderful, and sometimes pretty crazy. I'm not even chasing kids around yet and I still feel like it's often a struggle to get dinner on the table. Thankfully, we are pretty thrifty folks who eat out only when we have a gift card or for our favorite late night specials. 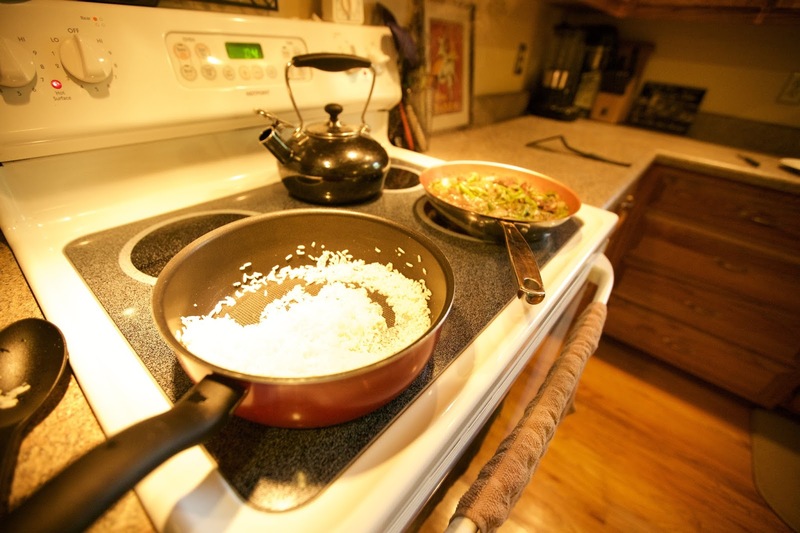 But still, home-cooked meals are delicious, nutritious, and cost-efficient. If only I had more time to make them, right? Enter: Freezer meals. I signed up for my first freezer meals class through the health program for my school district. After I went once, a group of my friends from school started inviting me to come to theirs, which takes place once a month. The group I go to is set up through HyVee, and the person coordinating it sends out a bunch of "easy" and "hard" recipe options for all types of meat, including vegetarian. From there, everyone chooses a recipe that they would like to prepare for the group. After everyone has chosen their recipes, an email goes around with a list of all of the meals. You decide how many you want of each item. I've actually gotten up to 13 meals before, and they all were able to fit in our freezer! Most prep classes only take a couple of hours, depending on the speed and size of your group, and how much you help each other. The time is fun and full of chatting and laughter, plus you don't have to clean up after you're done! HyVee has a club room where you prepare everything, and they have all of the ingredients out for each meal that is being prepared. Since some ingredients are shared across multiple recipes, everyone saves money. And you only pay for the meals that you want to take home. Cost is spread out among those purchasing each meal, and you can usually get a meal that serves four people for $10-$12 (depending on meat and any other pricey ingredients). You don't actually fully cook everything, you just get as much of it ready ahead of time as possible, then others take it home and freeze it until they cook it. If only three people, including yourself, are purchasing the meal you choose to prep, you only prep three. If thirteen of your recipe choice were "ordered", you prep 13 meals. It always depends, but it's never overwhelming, especially when your friends help! 1. Enter the club room and grab your stapled packet of recipes. 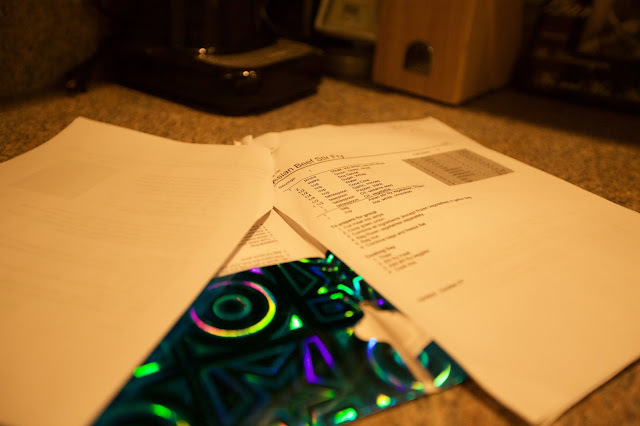 They staple together the recipes and prep instructions for every meal that you are purchasing to take home. (This is nice because you can always remake ones you really like on your own.) People always choose a recipe to prep that they plan to buy for themselves, so that recipe goes on the top of the packet. It's the one you're in charge of. 2. Grab ingredients listed for your recipe, while sharing them with others. Keep in mind that you are prepping multiple of the same meal, and pay attention to those numbers. 3. Simply follow the directions, which usually involve measuring out and mixing spices, cutting up vegetables, and sometimes cooking the meat (depending on the recipe). You then place these items into the appropriately-sized freezer bags. Everything is pretty well laid out, and there are people there from HyVee who'll help you prep meat or cut up things that may take a while. 4. 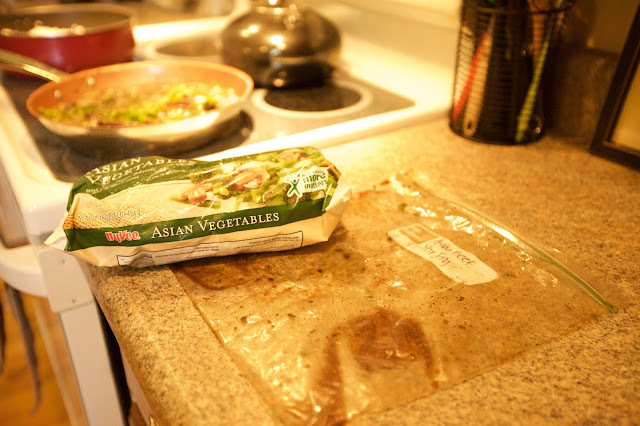 Place all of the freezer bags you've filled according to the directions, and any other items that go with the recipe (like spaghetti sauce, noodles, or frozen veggies), into a plastic grocery bag. These items are labeled and kept together so that the person taking home that meal can just grab the grocery bag and they're set. Keep in mind, there are sometimes a few excluded items that needed to be purchased separately, like milk or mayo. But they're very minimal and sometimes even optional for the recipe. 5. Pay, head home, and stock your freezer with all your meals, keeping in mind that you may need to remove a can or two that shouldn't be frozen. Just stick those in your pantry until you're ready to cook that recipe. 1. Depending on the recipe, you'll likely need to thaw. 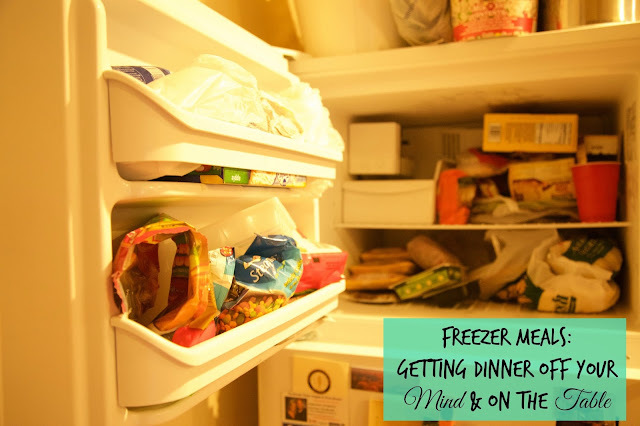 Plan ahead and bring an item from your freezer to the fridge the night before (especially if you're doing a crockpot recipe- my personal favorite). You can also thaw during the day if you plan to cook the meal that night. 2. Grab your recipe packet. Beneath the instructions for the prep (which is already done), there are clearly marked instructions on how to cook the meal. These could literally be "Put all ingredients in a crockpot for 8 hours". They may also involve cooking some meat, throwing something on the grill, or basting it and putting it in the oven. The good news is, almost all of the measuring, cutting, and marinating is already done, saving YOU precious time! It's seriously as simple as that. 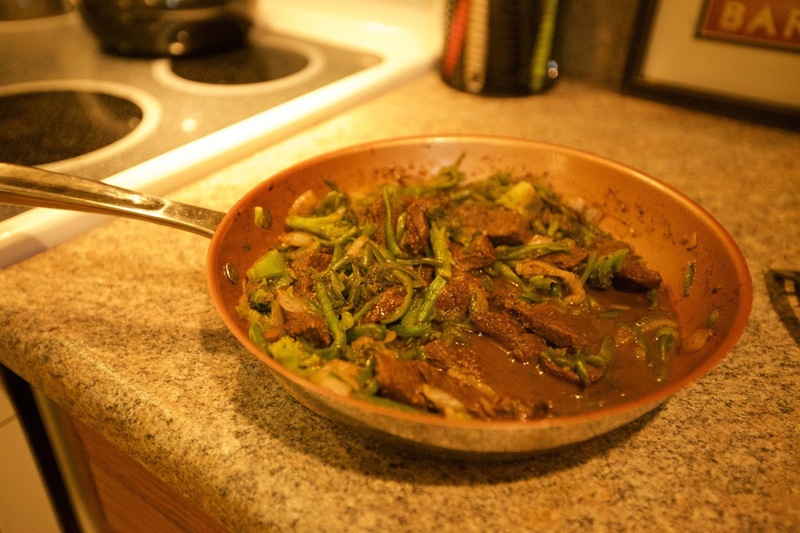 Here's the Asian Beef Stir Fry that I made the other night. This had been in my freezer for quite a while, so I went ahead and let it thaw during the day. I started with a freezer bag full of meat and spices, a bag of rice, and a bag of frozen Asian vegetables. I must say, it was really delicious. Someone else prepped the meal with the spices and the meat, so I can't take any credit, but it had amazing flavor. The frozen Asian veggies were tasty as well. I think it makes a nice presentation on the plate, like a meal I had really toiled over. And, since there were only two of us eating, we had lots of leftovers for lunch! I've found some really awesome freezer meals that are easy, affordable, and look and taste great. Some of our favorite are the Stromboli, the Asian Burgers, and the Cream Cheese Chicken Chili. There's always something new and yummy to try, or you can stock up on several of the same meal if you really love it. Freezer meals have definitely saved us time and money, and I don't have to stress as much to get dinner on the table. It's actually fun. We can have a great dinner, even if we've had a crazy full day. 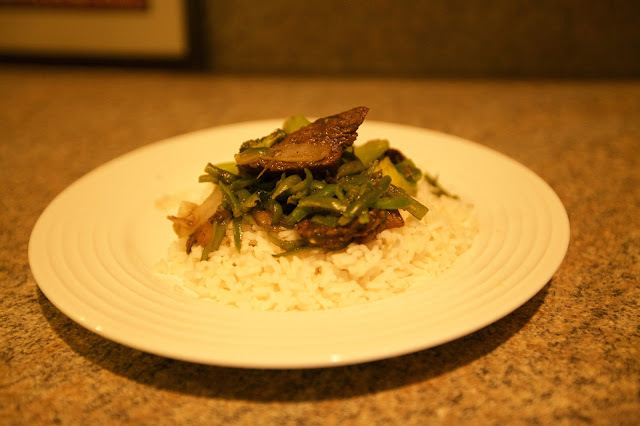 Ready to get started with your own freezer meal class? Check the HyVee Website to see if a local HyVee has any openings. No HyVee around that offers classes? That's okay, you can still accomplish something similar if you get together with a group of friends. Share some recipes, split the ingredients, prep the items needed, and stock your freezers, ladies and gents! PS. This post is part of the This Is How We Do It Link Up Party with Ashley from Grace Mountain Diaries and Lori from The Boutelle Family. Look for once a month posts with helpful tips on how to make life easier. I'm also linking up with Just Another Linky and Imparting Grace check them out! Yes, it is much much easier, and fun :) Everyone gets a little social time in, and it's fun to pull out a recipe that you didn't prep and to be thankful that someone else did the hard part for you already! I haven't gotten into making freezer meals yet but I've been following a lot of posts and thinking about them quite a bit. I really like the idea of preparing them as a group, and that class sounds like a really great intro. The class sounds really interesting and fun! I have been meaning to get into freezer meals and crockpot meals but I have been constantly putting it off. I think I am going to gone get a start on making these type of meals. Thanks for sharing! Perfect timing- I just made a double batch of baked chicken taquitos for the freezer yesterday. I live too rurally to have any sort of freezer cooking class or group close by, but I've read posts about friends who organize freezer cooking parties. I'm thinking seriously about having one before or right after school starts. If I do, I think that cream cheese chicken chili needs to make the recipe list! A group cooking club sounds awesome, I may have to find some willing participants! I would LOVE to find something like this in my area, how awesome! Cara, it is really amazing! I think that a time of fellowship with other women that also ends with take home meals that you didn't prep is definitely something worth doing. Best of luck to you! Let me know how it goes. I know about creating freezer meals but I had no idea that there were prep classes you could attend! What a cool idea, plus a great way to meet like-minded people! Thanks so much for joining the Link-It To Me Link Party, I hope you will party with us again next week! What a fabulous idea! I need a group like this to go to! You can fit a lot in those freezers, I promise. Definitely check into it! Thanks so much for stopping by- I'm excited to link up again later on!